I never would have believed it, had it not happened to me; possession by the spirit guardian of Egypt’s most controversial pharaoh and religious heretic? Not a chance. Such delusional and narcissistic fantasies are not my style. Nevertheless, the peculiar story I am about to tell is true; the obsession, the possession, the exorcism, the whole thing. It all started several years ago when I travelled to Amarna, Middle Egypt, to visit the realm of the legendary king, Akhenaten. Located on the eastern bank of the River Nile, some 200 miles south of Cairo and 250 miles north of Luxor, Amarna’s desolate ruins recall an inimitable period in Egyptian history when the status quo was turned on its head by a king, whose vision differed profoundly from that of his predecessors. 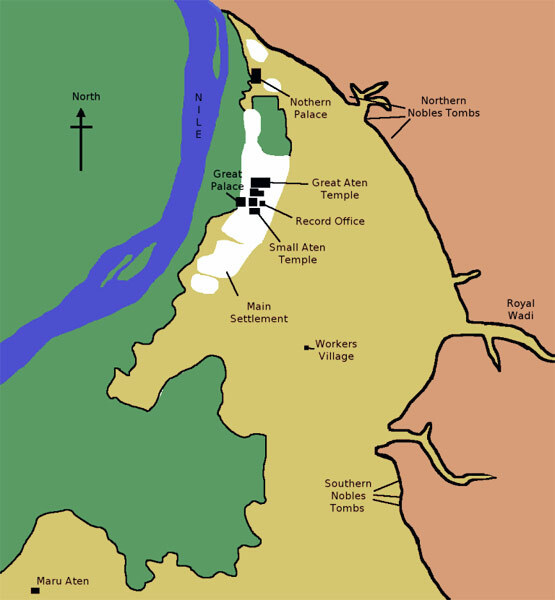 Nobody really knows why Akhenaten chose this remote valley for his capital, but a clue can be found in his name. Akhenaten means Horizon of the Aten and the city is dominated by a mountain, whose natural ankh-shaped niche resembles the Egyptian hieroglyph for horizon; especially so, when the sun rises through its arches. 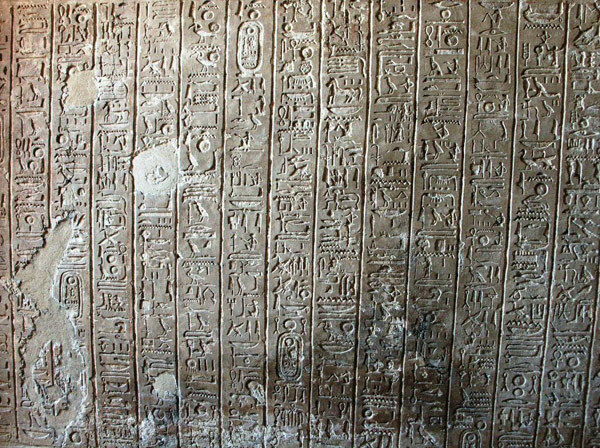 The phrase, Amarna Period, refers to a brief, albeit radical, period of Egyptian history when traditional governance was usurped by a king, whose state religion, a form of monotheism known as Atenism, or the worship of the sun as an aspect of the sun god Re, ignited no end of political unrest and religious quarrel. 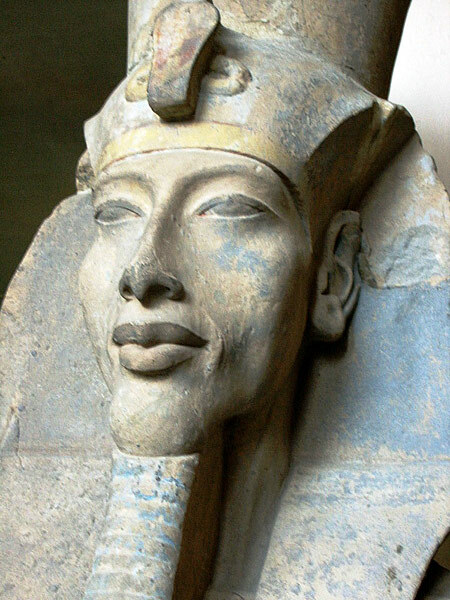 In addition to a new religion and capital, Akhenaten’s court was more international than the others and this may have contributed to the creation of Amarna’s unique and highly naturalistic style of art. Images of the pharaoh smiting his enemies were replaced by haunting perspectives depicting the king with an androgynous body and elongated head, and controversially portraying his family, especially his wife, Nefertiti, in open displays of affection. 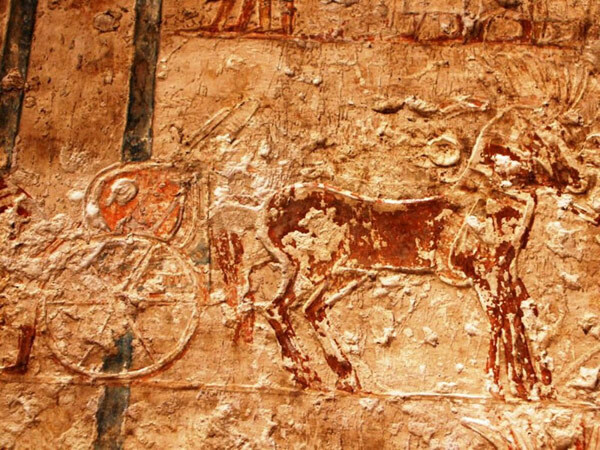 For all its audacity, the Amarna Period lasted little more than 20 years and its brevity ensured that those who longed for a return to the old ways – and there were many – could easily eradicate its memory from history. Our guide for the trip was my friend, the chronologist and free-thinking Egyptologist, David Rohl. Although David had travelled to Amarna on many occasions, this would be my first trip and my sense of anticipation was heightened. I had read everything on the ‘heretic king’ that I could get my hands on over the years, and had attended countless lectures. Alas, this was one of those unique occasions when peak interest corresponded with being there. I would soon discover how true this was and, as our convoy of dilapidated 4×4’s approached the fabled city, I reflected on the week that was; our trip through the Faiyum, a region less travelled, but well worth the journey. 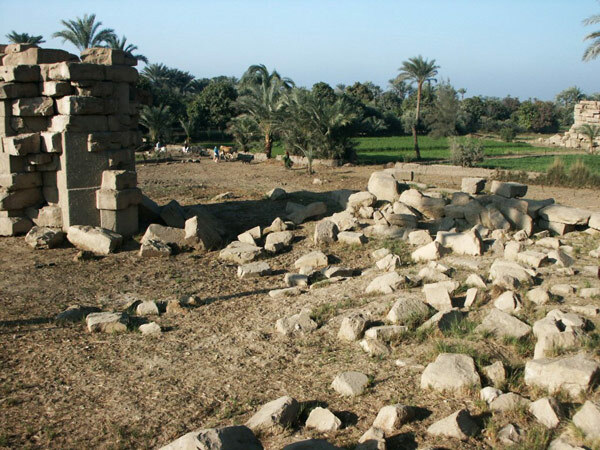 The heart and soul of any trip to the Faiyum is Hawara, with its legendary labyrinth and impressive pyramid of Amenemhet III, the last true ruler of the Egyptian Twelfth Dynasty. Herodotus, the celebrated fifth century BC historian, was passionate about Hawara and wrote about it in his epic book, Histories: “I saw it myself and it is indeed a wonder past words; for if one were to collect together all of the buildings of the Greeks and their most striking works of architecture, they would all clearly be shown to have cost less labour and money than this labyrinth.” Although I cannot not possibly comment on Herodotus’ claims, I can confirm that, twenty-five centuries later, Hawara was still a wonder to behold. We also visited Beni Hassan, the ancient cliff-side necropolis, with a dramatic stairway that rises up through the desert to many wonderful Middle (2080 BC to 1640 BC) and even Old Kingdom (2686 BC – 2134 BC) tombs. Here, we observed a variety of reliefs, including paintings of Asiatic people with multicoloured coats, similar to the fabled ‘Coat of Joseph’. Other memorable sites include El-Lahun, the remarkable mud-brick pyramid of the Twelfth Dynasty Pharaoh, Senusret II (1897 BC to 1878 BC), and the sublimely austere pyramid of Meidum, believed to have been built by the Fourth Dynasty Pharaoh, Sneferu (2613 BC to 2589 BC). 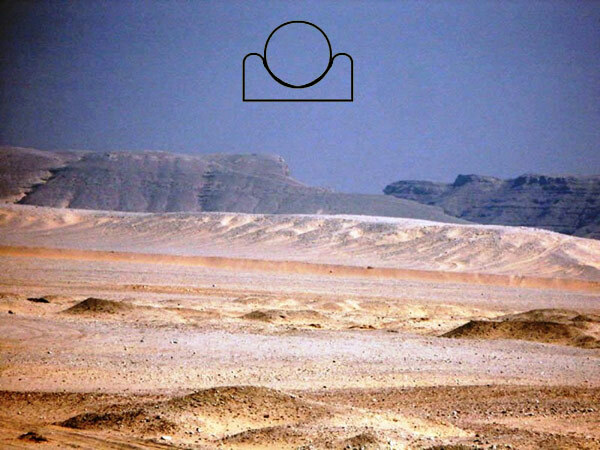 The isolated and barren sites of the Faiyum had prepared me well for Amarna, for it too was remote and seldom visited, and I longed to spend some solitary time there, if possible, soaking up the atmosphere and ‘feel’ of the place. We began by examining two of the fourteen boundary stelae, erected by Akhenaten to designate the far reaches of his kingdom. 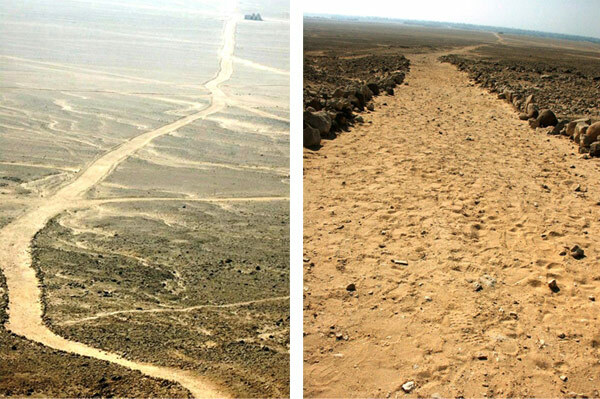 Their condition was poor, but I considered myself fortunate to view any remnants of Amarna’s former glory. We proceeded to the Northern Tombs apace, as the day was quickly getting on. Inside, we studied paintings of chariots, which complemented the spectacular views of chariot paths outside; tracks that seemed to extend into infinity and which remain intact to this day, over 3,300 years since they were first built for purpose. The day was unfolding perfectly, but still I longed to contemplate Amarna’s magnificent sites in private. 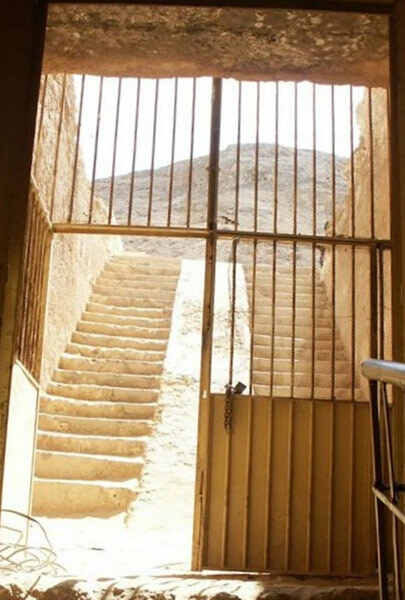 “Perhaps I would find some solitude at our next stop,” I thought, as we arrived at the North Palace, the only site that resembled the idyllic Amarna scenes of nature that I had long admired in books and museums. At last, I seized the opportunity to go for a walk, away from the others, and stumbled upon some shards of pottery, which I excitedly put into my rucksack as a souvenir. 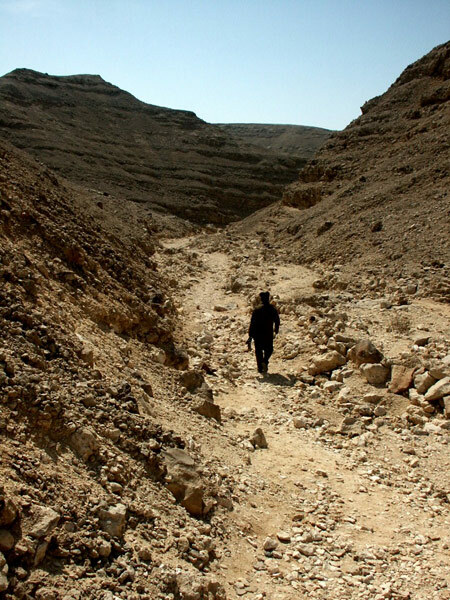 Unfortunately, on trips like these, one is not afforded much time to explore and I soon rejoined the group as we prepared to depart for the Wadi Abu Hassah el-Bahari, better known as the Royal Wadi, gateway to the Royal Tombs. Along the way we stopped and admired the ruins of the ‘Window of Appearance’, or what was once a balcony on a bridge that covered a main road and connected the palace with the temple. Here, Akhenaten and Nefertiti would appear before their people and offer up gifts. It is where they connected with their flock, like a priest with their congregation. The moment was brief, but affecting. I wanted to stay longer, but we simply had to carry on. 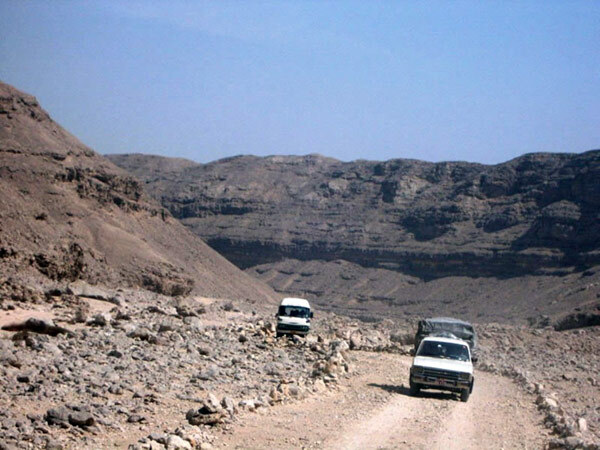 Only the Royal Wadi now separated us from Akhenaten’s tomb, and before embarking on the arduous 6-kilometre drive, we paused at the mouth of the narrow valley and reflected on what lay ahead. 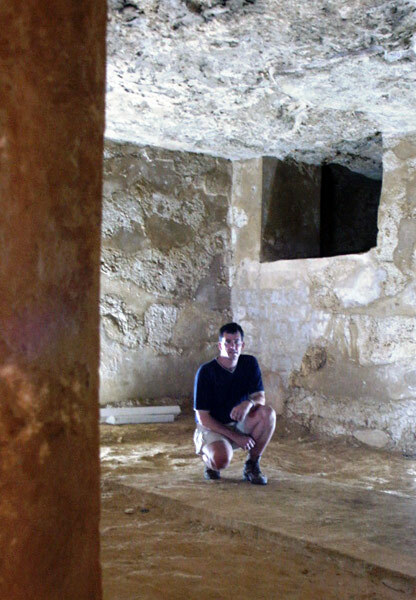 The Royal Tombs were officially discovered in 1891 by the Italian archaeologist, Alessandro Barsanti. “What is it about 1891 and the discovery of important tombs?” I mused, in reference to Bérenger Saunière, the priest of Rennes-le-Château, a tiny village in the foothills of the French Pyrenees, and his journal entry, which states that he ‘discovered a tomb’ that same year. Rennes-le-Château represented an equal, but altogether different passion of mine; yet, ironically, it would later serve as the catalyst for my confronting the affliction I was about to acquire. Over the course of the trip I had become friends with various members in the group, seasoned travellers all, including a woman who revealed that she was an elder member of the Rosicrucians, an order devoted to the study of ancient, mystical, philosophical and religious doctrines. 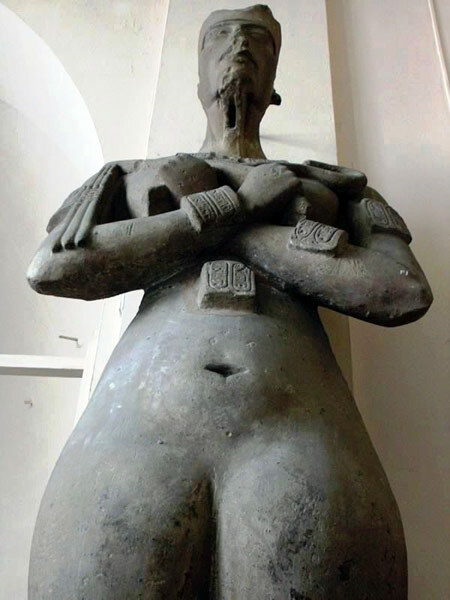 Much to my surprise, she confided that a visit to Akhenaten’s tomb was compulsory for members of a certain status, such as her; not dissimilar to a Muslim’s pilgrimage to Mecca. We chatted throughout the drive and continued as we walked the final leg, up the mountain, to the Royal Tombs. I was intrigued by the Rosicrucian’s provocative insights and watched with interest as she entered the tomb, ten minutes after the others. She must have ventured no more than 50 feet inside before retreating only moments later, noticeably upset. “She could not possibly have toured the vast labyrinth of chambers and corridors,” I thought, and although I was given no indication in her behaviour then, she would later confide that the energy in the tomb had been so oppressive that she could only stand it for a minute or two. The only reason I witnessed her peculiar actions in the first place was because I too had waited for the others to enter, so that I could explore the tomb in private and experience more of what I had known at the North Palace – solitude. Nobody is quite sure why Akhenaten’s body, and that of his family and wife Nefertiti, were moved to another location, lost from history. All we know is that they are now gone and, although the Royal Tomb and its many chambers remain empty, and most of its reliefs have been destroyed by angry successors, bent on erasing Akhenaten’s memory from history, one can still imagine the elaborate ceremony that would have accompanied Akhenaten’s funeral. Nevertheless, the king had many enemies, as his heavy-handed enforcement of monotheism was far from popular, and this may have resulted in his burial – or subsequent interventions by succeeding rulers – having involved rituals of suppression, and not necessarily accession. I made my way from chamber to chamber, in awe of my surroundings. I had examined many Egyptian tombs, but this was special and my fascination with the heretic king made it easy to lose track of the fact that our visit to the Royal Tomb was nearly over. Oblivious, I waited as the group vacated Akhenaten’s chamber. I entered, unseen, and proceeded to set up my tripod for a photo shoot. I also intended to meditate, but, sadly, neither was to be, for what happened next was unexpected, to say the least. Off in the distance I heard a loud clang and, for a moment, my brain could not process what had happened. I knelt on one knee in disbelief and waited, pensively, for an explanation. I did not have to wait long, for the tomb promptly fell into darkness, confirming my fear that the group had left and that the entrance had been shut behind them. I was amazed at how acute my senses had become. I could instantly hear, smell and sense like never before. It was uncanny. Within moments, my newly honed senses picked up on something that what was about to happen. I only sensed it, mind you, but I knew it was real. An entity of some sort was advancing through the darkened corridors at an astonishing pace. I never questioned its existence, and could not have resisted the pending collision if I had tried. The force of the entity knocked me backwards on all fours and I sat, horrified, on the floor of a tomb that was noticeably colder than before. I was in shock at having been locked in the tomb and in denial about the possession that had apparently just occurred. I suppressed the latter for the time being and attempted to collect myself, in order to deal with the more immediate concern of getting out. I regrouped and crawled, a hand in front of my face, abandoning various pieces of camera equipment in my wake. To make matters worse, upon exiting the chamber I turned the wrong way and plodded on, slowly, for a considerable distance, before realising that I was travelling even deeper into the tomb. “Might other entities be waiting?” I wondered. I had absolutely no idea what may be in store. I was feeling disorientated, but not totally despondent; after all, I had inadvertently achieved what I had been longing for all day: quality time in Amarna and in the tomb of the heretic king himself no less. Not to be deterred by my encounter with the apparent guardian entity of the tomb, or the fact that I had no idea how or when I would get out, I paused to reflect upon the incredible situation I now found myself in. 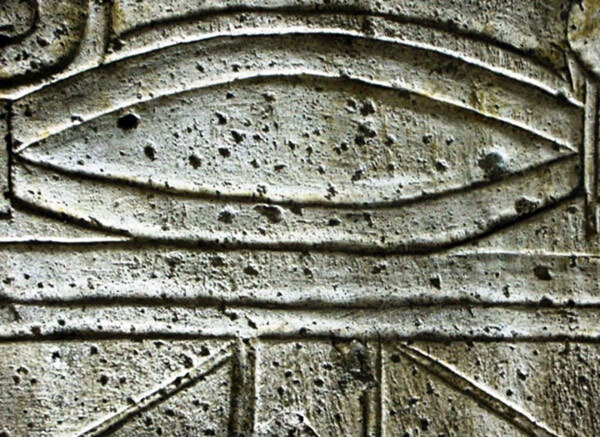 No sooner had I done so, than the image of a relief of an eye from the ‘Gamma’ chamber appeared in my head. 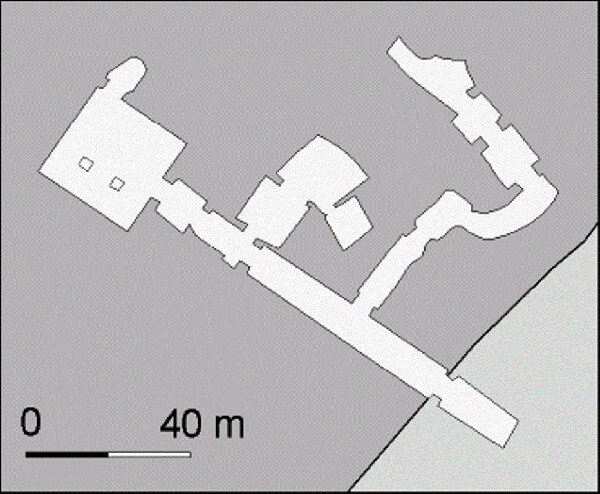 Gamma was one of three rooms that comprised the Royal Tomb of Akhenaten and one of two, whose decorations were not later destroyed by the followers of Amun; those who returned the country to the old ways, before Atenism. I would never understand why this image came into my mind just then, of all times, but I have always found it peculiar that the relief of the eye was the only photograph that came out in focus, before the tomb fell into darkness. I put the image of the eye out of my mind, as I realised I could not linger in the tomb for long, and promptly reoriented myself, reversed my direction, and headed for the entrance. “How much time had passed?” I wondered. I checked my watch and estimated that I had been locked in for 15, maybe 20 minutes. “How could that be?” I thought. It had seemed much longer. I proceeded towards the door, now walking upright, albeit cautiously, with my hands outstretched before me, as if to repel any further attacks. As I inched ever closer to the entrance, I recalled that the next scheduled tour was over two weeks away. 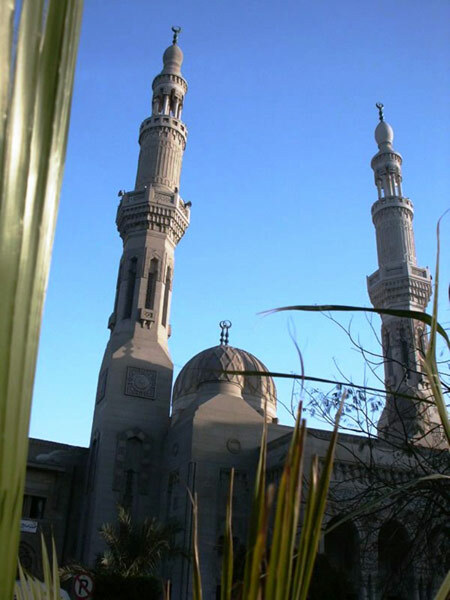 This was worrying and I wondered if anyone would realise that I was in here; or would those back at our base in Minya (a city renowned for its high-profile terrorist groups) assume that I had been abducted? Kidnapping was common in these parts and, only the night before, after our group had been confined by armed guards to the safety of the hotel, I had been publicly reprimanded for disobeying orders and sneaking into town to photograph a mosque and, therefore, jeopardising the safety of the group in the process. With that disheartening thought in my head, I arrived at the entrance and discovered it sealed, as expected. I screamed and pounded on the door for what seemed like hours, but nobody answered and, for the first time since the lights went out, I truly panicked. I was feeling many different emotions, not only panic, things like fear, anger and sadness, to name a few. Then, just as I was running out of hope, a local Bedouin who had heard my plea contacted the military personnel, who had escorted the group to the tomb. Within minutes I was standing out in the bright haze of the late afternoon sun, a free man. The military men spoke scornfully and shouted things at me, and each other, which I suspected were rather unpleasant. I scampered down the mountain, debris flying from beneath my feet all along the way. I arrived at the spot where the convoy had parked up a couple of hours earlier and, much to my surprise, the group had taken a break and was only just preparing to leave. Now that my cover was blown, I promptly received another verbal flogging for having gone walkabout and sheepishly climbed into the back of one of the 4×4’s. The group’s disapproval was palatable, but I kept my mouth shut and did not let on where I had been. I was embarrassed and confused, and needed to process the whole thing a little while longer. “If only they knew,” I thought. An hour later we arrived back at the hotel. I was exhausted and anxious; not myself. Nevertheless, a few of us decided to stop for a drink at the hotel bar, and only then did I recount my story; not the bit about the entity, mind you; just the facts. A cold beer had done the trick and I was beginning to think I had imagined the whole ‘entity’ thing: “Must have been a panic attack, that’s all,” I thought to myself. I bade farewell to the group and headed to my room to shower and prepare for dinner. That was the plan anyway, until it started. That was when the entity began to manifest itself. I walked upstairs, fatigued, but more relaxed than before. That was the last thing I remember with any clarity, for as I turned to walk down the second floor hallway that led to my room I found myself frozen, unable to move. What is more, the hallway lights in the ceiling above my head had begun to melt, like in an Escher painting. Other guests – strangers, fortunately – passed by and stared, quizzically, but I simply could not move. I was no longer in control of my body. Time had stood still and I had no idea how long I had been transfixed in the hall. The next thing I knew, however, was that I had arrived at my room as if nothing had happened. I opened the door and stood in disbelief as I witnessed a figure enter ahead of me. I closed my eyes and refocused, but I could still see it; a tall build, dressed in what appeared to be dark-coloured robes. I went in after it and became aware of an energy that I will never forget, and which I can only describe as horrific. Panic returned, this time worse than before. I remember thinking, “Get a grip on yourself. This is not happening!” Or was it? I showered and switched on the television at full volume. I even tried to read, but nothing helped. Was the room possessed or was I somehow projecting the entire thing? Before I could answer I received a knock on the door. It was the Rosicrucian. “Hi” I said, relieved to see a friendly face. “Have I caught you at a good time?” she asked politely. “I missed you on the drive back,” she continued, before I could reply, “and was wondering if you fancied a drink before…” Her voice trailed off, slowly, as her gaze veered over my right shoulder. “What’s going on in here?” she enquired, in a tone that had lost all sense of cordiality. “I mean what the HELL is going on in here?” she persisted, only this time for her benefit, not mine. She darted past me into the room and I was preparing to explain the whole incident when she spotted the shards of pottery on my dresser table. “Where did you get those?” she enquired aggressively. “I found them on the outskirts of the North Palace, on my walk. There were loads of them lying in the sand. Why do you ask?” I replied. Pretend as I might, I knew what was coming next. With this, the Rosicrucian proceeded to guide me through a ritual designed to make amends for my thoughtless behaviour. This, she was certain, was the reason my hotel room felt so charged. As we were making plans to have the pottery shards returned to the North Palace the very next day, there was another knock on the door. This time it was Roberta, a gregarious Italian woman with a wicked sense of humour, whom I had become friends with during the trip. She exchanged greetings with the Rosicrucian, before suggesting that the three of us go for a drink. “Well, I think we’re done here. Sounds like a great idea. I know I could use one,” the Rosicrucian confirmed. “Great. Me too!” Roberta exclaimed. “And I figured Andy would need two or three, after being locked in the tomb this afternoon. I still don’t know how you managed that. What are you like?” she added. I looked sheepishly at the Rosicrucian and, once again, I knew what was coming. “What?” she exclaimed. I will never forget the look of incredulousness that came over her. I said nothing, and just stood there, expressionless. “Listen, we have some work to do,” she continued. “This is far more serious than I thought.” And so we performed yet more rituals, on into the night. The years passed and I would never see or speak to the Rosicrucian again. I think we exchanged a few emails for a time, but that was all. I reflected on that evening often and wondered how much her rituals had helped, for the entity that I encountered in the Royal Tomb was, as best as I could tell, still with me. Now, I cannot be sure of that, but I can be sure that ever since that day I have experienced something quite peculiar whenever I become unconscious; for instance, when I daydream. It is in this relaxed state that I see a face, frowning and unmistakably judgemental, with long, piercing eyes. I have seen it in all sorts of places, too, such as floors, walls, table tops, even in clouds in the sky. Not surprisingly, when I regain consciousness and focus, the face disappears. Ironically, I never found this upsetting. At the end of the day, I guess I never took it seriously and, if the truth be known, I found the consistency of its appearances rather comforting. Until, that is, people began to tell me that they could see it, too. “What?” I said, a little taken aback by her cheek. By this time, my interest in Egyptology had led to the sacred bee and how the diminutive creature had been worshipped for its contribution to society by cultures of every epoch, especially in ancient Egypt. I interviewed Simon Buxton, whose book, The Shamanic Way of the Bee, was a classic in the genre, and later attended a workshop on shamanism, which Simon facilitated, presented by the Sacred Trust and the Centre for Shamanic Studies. 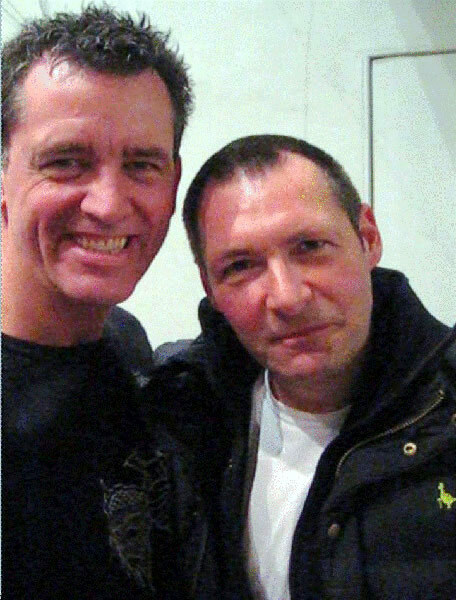 I was grateful to have attended as Simon’s guest and was eager to learn. The workshop was terrific and I later blogged about the experience for my website. However, in the days that followed, the entity manifested in curious ways, including attacks on other members of the workshop, who underwent shamanic ‘journeys’ with me in the spirit world. My entity was fast becoming famous, if not infamous. Still, one of the more accomplished members of the group journeyed on my behalf, in the hope of understanding the entity’s intentions. They returned with the understanding that I had been chosen by the entity for a variety of reasons, including the fact that we shared a similar physique and that we had both been a high priest in a past life. I was also told that the entity knew that its time on the earthly plane was nigh, and that it was not pleased. The last straw, however, was when I was informed that I had been speaking in a low-pitched voice, and in a language that sounded ancient, and that I did not appear to be myself. The whole ‘entity’ thing was now playing with my head. Was I going mad? 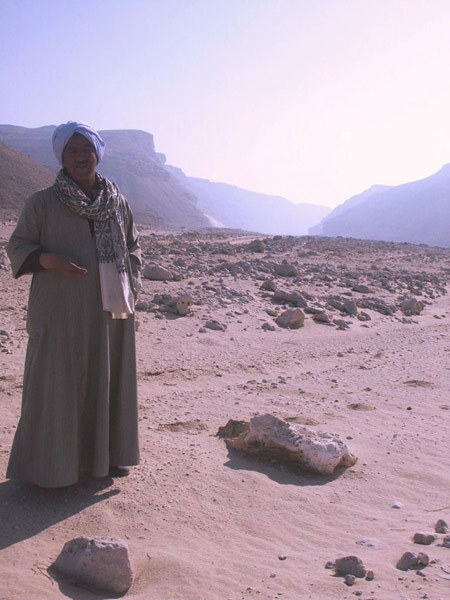 I reflected on my life since 2002, the year I had visited Amarna, and, while there had been many great times, there had also been some hardship. However, I refused to attribute my fortune – good or bad – to anything external; certainly not an entity, if they even existed. My feet are firmly planted on the ground and I have always taken full responsibility for my actions. Nevertheless, just to ensure that this remained the case, I decided to take action and explained the whole thing to Simon, who, as a matter of urgency, recommended someone in London who might be able to help. I contacted the shamanic healer that Simon recommended and made an appointment to have the entity removed. We agreed a date in mid-April, but when a cancellation created an opportunity to meet sooner, we rescheduled for 3 April. The symbolism of the date – the day before Easter, the ancient feast of death and resurrection – was not lost on me. I arrived at the home of the shamanic healer, accompanied by my good friend, Stephen. It soon became clear that the ritual I was about to embark upon was as much, if not more, geared for the well-being of the entity, than me. Selfishly, I was disappointed that the shamanic healer was less concerned about who the entity had been, and why he had entered me, and more focused on ensuring that it could return to an appropriate place in the spirit world. “At least it will soon be gone,” I thought. That was the important thing. So, after a brief preamble, we got down to the business of releasing the spirit. I sat in a chair with my eyes closed as the healer stood in front of me, guiding me through the ritual known as a ‘spirit release’. I spoke to the entity by silently repeating questions, prompted by the shamanic healer, and learned that the entity’s name was ‘Ahgu’, or something like that. All seemed to be going well until we discussed Ahgu’s options for transitioning to another realm. This clearly upset the entity, which then proceeded to manifest in a more physical, if not violent, manner. In fact, each time I pressed Ahgu for more information about his preferred destination, my legs would abruptly fly up into the air, rigidly maintaining the right-angle position I had assumed while sitting, before being thrust back onto the floor with terrific force. The routine seemed to occur in increments of three and, after an hour, the whole thing had begun to take its toll, emotionally, as well as physically. It was painful! “Shamanistic spirit release, is that what they call this?” I thought to myself. Were those just trendy, holistic words used to disguise the fact that this so-called spirit release ritual was nothing short of an exorcism? Call it what you will. As the ritual progressed, I began to see a white light in my mind’s eye, like a bright cloud above my head. Additionally, it was apparent that my chest was attached to this light by a translucent cylinder that appeared to be transporting the entity into the cloud above. Ahgu was attached to me; just how, I could not make out, but I sensed it vividly and I soon learned that there were other, lesser entities, supporting him in his request to remain on the earthly plane. They too, would have to be released back into the spirit realm, and thus the task at hand became even more daunting. I feared that the ritual was not working, until I studied the outline of Ahgu’s body, which appeared to be some 15 feet or so behind me, and noticed that it was gradually becoming smaller. What reinforced my belief that the ritual was working was the fact that the cylinder connected to my chest, which I now sensed was attached directly to my heart, was getting wider; so wide that it engulfed the entire room. The massive cylinder was now full of blue and black coloured arteries, which were attached to the cloud like the roots of a tree. I now understood. 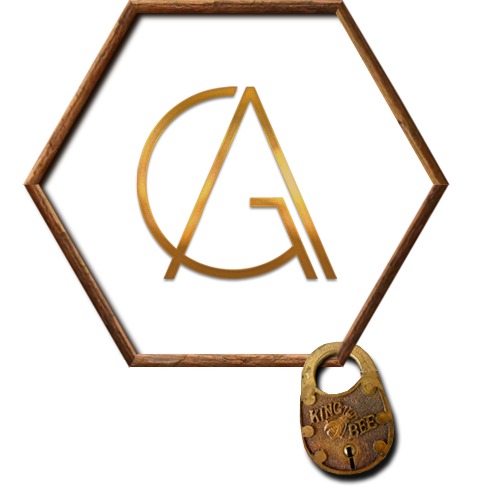 This was Ahgu’s essence, and that of the other entities, being transported to the light. The ritual was working. When it became apparent that Ahgu and his helpers had finally made their way to the light, my healer requested that I fill the room with the colour that I saw in my heart, including the cylinder that was attached to my chest – which by now was entirely white; reflective of the fact that the cloud of light above had actually come down into the cylinder and spread throughout the room. I did as he advised and, when I looked at my heart and concentrated intently, the colour purple appeared and filled the room. 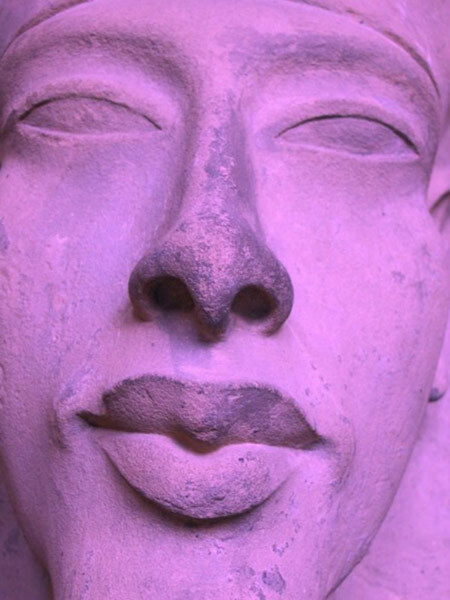 I instantly felt a sense of calm and the likeness of Akhenaten, laden in purple, was the only image that I held in my head.